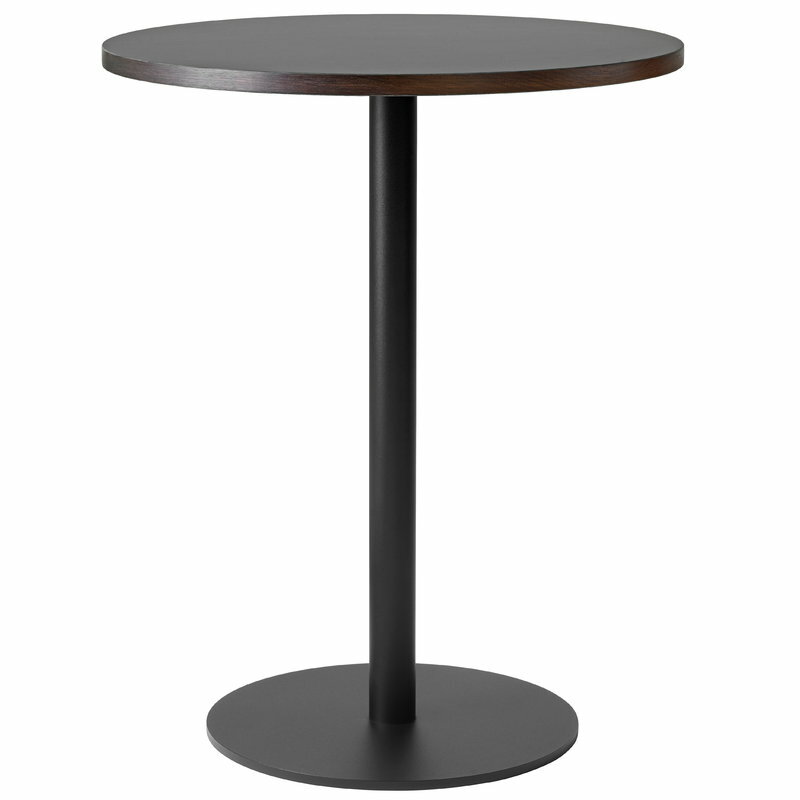 &Tradition’s Nærvær NA9 table features a circular steel base and cylindrical stem supporting a laminated tabletop. A Danish word for presence, Nærvær invites you to enjoy the present moment and gather around the table in good company – the simple, one-legged design and compact size emphasize the sense of intimacy. Designed by Norm Architects, Nærvær NA9 table is a perfect fit for small kitchens and dining rooms, and it also functions as a convenient extra table in other rooms of the house. 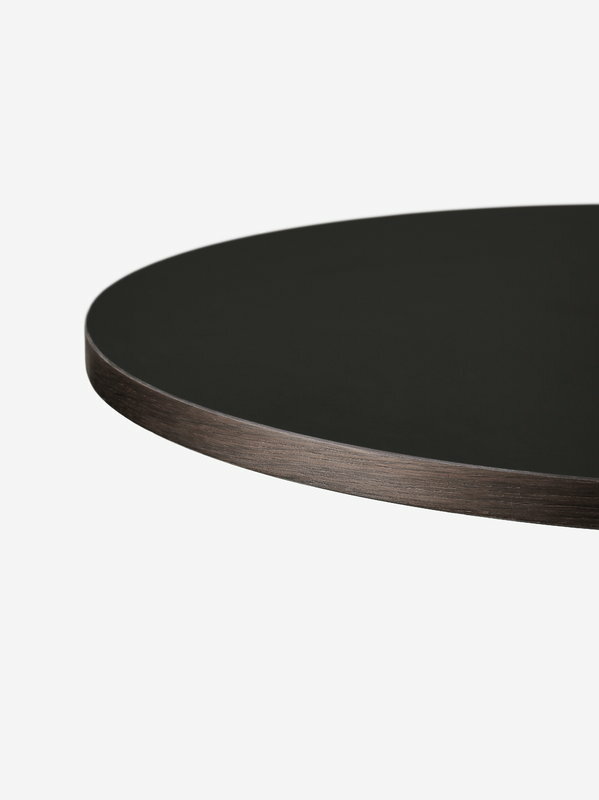 The tabletop is made of durable and easily cleanable nanolaminate with a warm touch of smoked oak veneer edges.